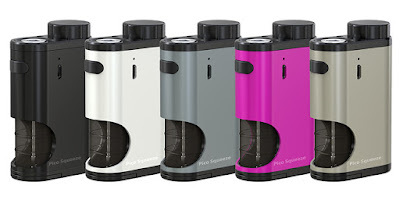 Eleaf Pico Squeeze 50W Mod retains the compact size and slick looking of original iStick Pico. It is powered by a replaceable 18650 cell and quite simple to use with direct output voltage system. The reimagined Squonk system that feeds e-liquid into bottom-fed atomizer conveniently by squeezing the bottle makes the Pico Squeeze perfect match for the Coral atomizer.